Applied Research & Design, 9781940743226, 288pp. Drawn from keen observation of the rapidly changing social economic landscape of China, and using OPEN Architecture's projects as case studies, Towards Openness is a symphony of seven built projects and six idea chapters which are interestingly interwoven to offer an in-depth examination of OPEN's unique practice and the critical thinking underlying their work. 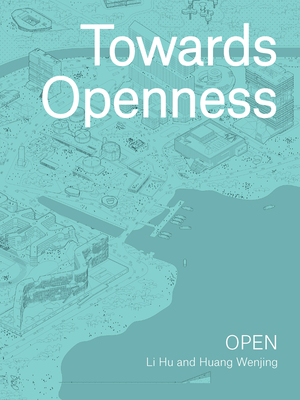 OPEN's understandings of architecture were summed up in six relatively clear points which, together with their corresponding manifestos, constitute the fundamental attitude and starting point of OPEN's practice. The seven built projects, threaded together by the six ideas, can be seen as OPEN's reaction to the broad issues that they encounter through practice, as well as the actions they take to actively engage in the rapid transformation of the society, with unwavering hope for a better future. The book offers a unique angle in understanding the transformational power of architecture. It presents a humanistic approach to architecture in relation to nature that touches upon our fundamental sensitivity as human beings and goes far beyond the boundary of nations. This book challenges the preconceived and often prejudice notion of what Chinese architecture ought to be. It provides a fresh perspective on contemporary architectural practice in China through the innovative work of OPEN.